DTU is organizing the PhD Summer School on Micro Mechanical Systems Design and Manufacturing 2019. The Summer School is scheduled to run for two weeks, from June 24th to July 5th (see enclosed flyer). The contents encompass lecture on micro manufacturing processes and process chains as well as practical project work. Through the project the students apply the acquired knowledge to design, manufacture and test a prototype micro product. The 2019 World Congress on Micro and Nano Manufacturing will take place from 10th to 12th September 2019 in Raleigh NC, USA. It is jointly organised by the International Institution for Micro Manufacturing (I2M2), the 4M Association and the International Forum on Micro Manufacturing (IFMM). Working with injection molding? Tools production? Product development? 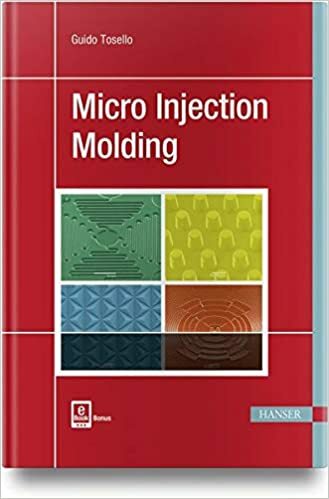 The 4M Association is delighted to announce the publication of the book 'Micro Injection Molding' by fellow 4M member Guido Tosello. 19 - 20 May 2016 The 3rd International Conference Polymer Replication on Nanoscale. Create clusters of FoF project activities, according to their objectives and addressed themes. This project cluster workshops brings together a critical mass of industry facing R&D programmes that are strongly interrelated and aims to achieve two main objectives with this workshop: 1) Participants to get an insight to key technical achievements and their potential for use in different product/application contexts; 2) Cross-fertilization of technology ideas underpinning existing and new emerging applications/products.